I finally got my photos in. Enjoy! 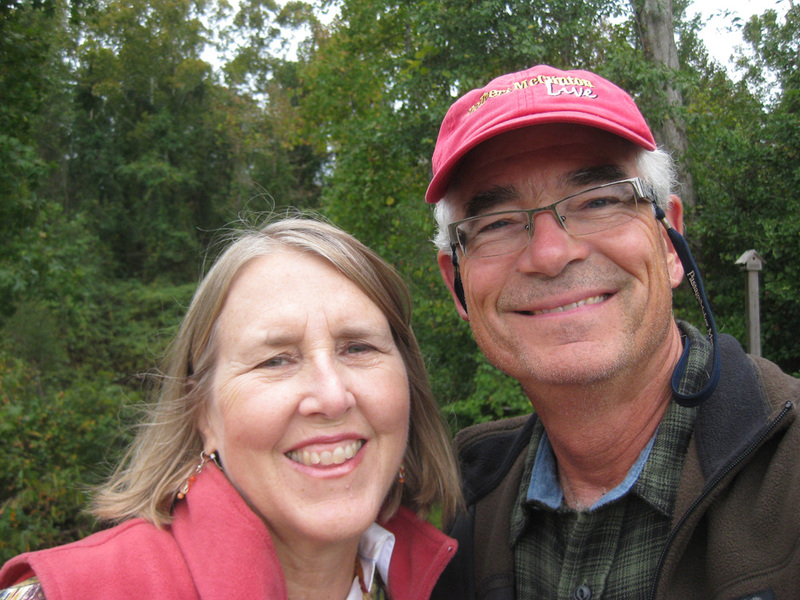 We left Wrightsville Beach and arrived at Pipeline Canal around lunch time. Since we were in early we thought we would see what is on shore there. 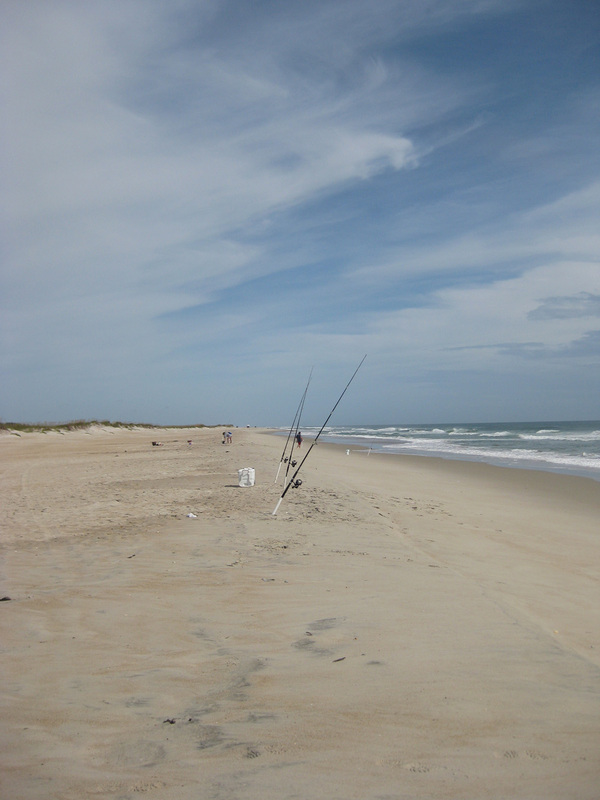 There is a boat launch where the fishermen put in there high-powered boats and is quite a busy place. 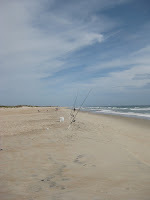 Al made an observation about the fishermen not just here but along the ICW. He said, “The bigger the Bubba, the less likely they are to wave.” I had a good laugh at that one! 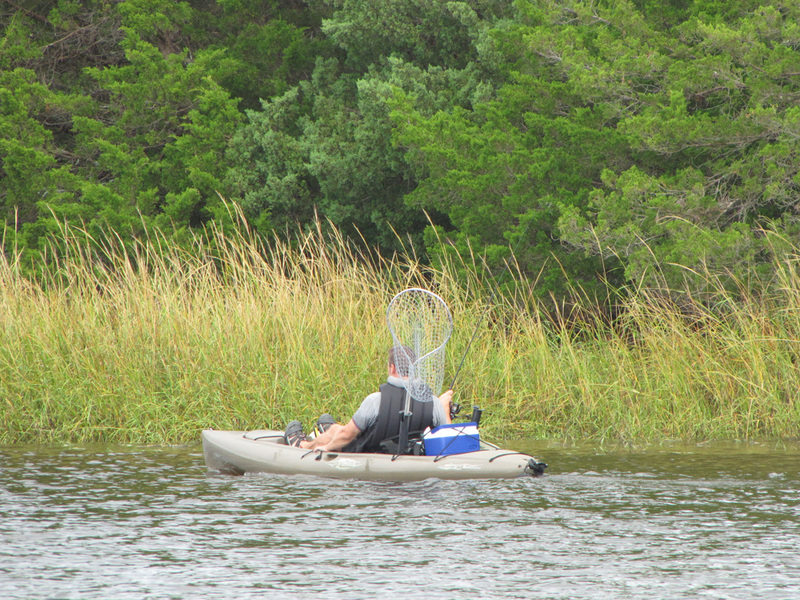 One fellow did go by in a kayak fishing which was out of the ordinary, so he wasn't a Bubba! Al wanted to speak to someone on a sail boat further in to shore because we know it is quite shallow and was wondering how they got in. He wanted to get the local knowledge, so we went over and talked to a single-hander who was a woman. Her name was Victoria and she gave us the low down on how to get in off the channel. 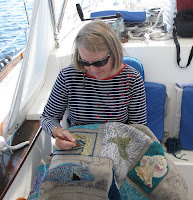 She was an interesting woman who had sailed to Australia with her husband. He has since past away and she lives on the boat. More power to her! You do meet interesting people on the water. Derelict boat on its side every day at low tide. We finally made it ashore to discover there are two restaurants in walking distance (seafood or Italian) , a nice park and that the no-see-ums were ferocious, so back to the boat and into the cabin. 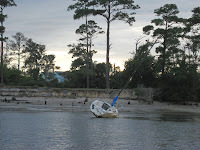 We did watch a derelict boat turn over on its side. Victoria says it does it every day and so explains why the one side is yellow and black! 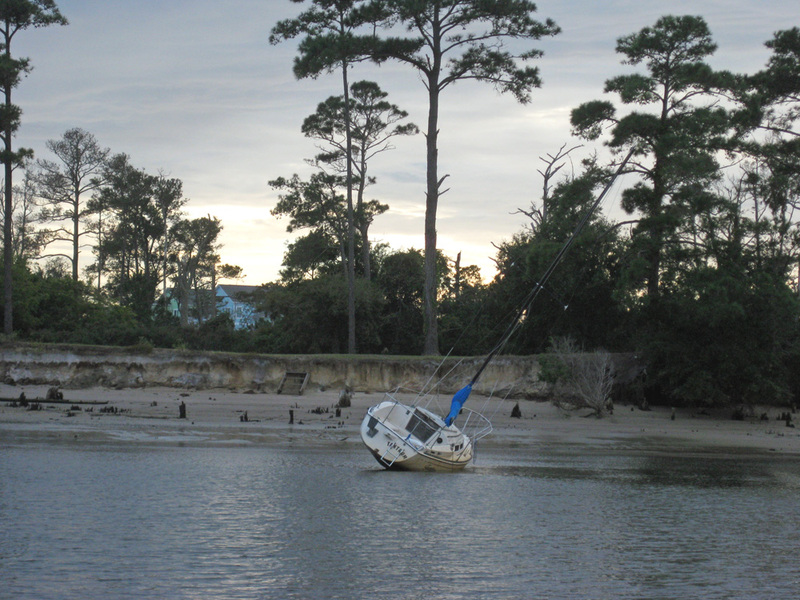 Derelict boats are a problem everywhere! 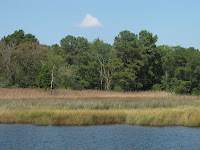 The next day we moved on to Calabash Creek on the NC and SC border. We wanted to get in early because it is well liked by cruisers but rather narrow and only so much room to anchor. We were the second boat in and got settled by early afternoon. We decided to take the dinghy up to Calebash to see what was there. 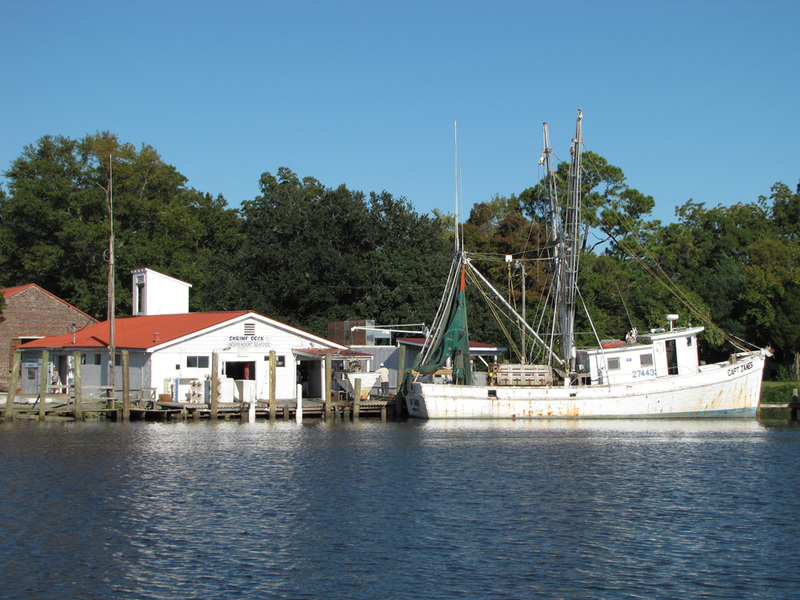 When we got up there, it looked like a commercial fisherman’s dock with no dinghy dock. We asked a gentleman on a sport fisherman boat if there was a place to tie up for an hour. He said, “Well, I own the dock, so why don’t you tie up to my boat and come across and up to the dock.” His name was Russell and he went on to explain that Calabash once was considered the “Seafood Capital of the East Coast.” There had been over twenty some restaurants at one time and now they are down to eight. 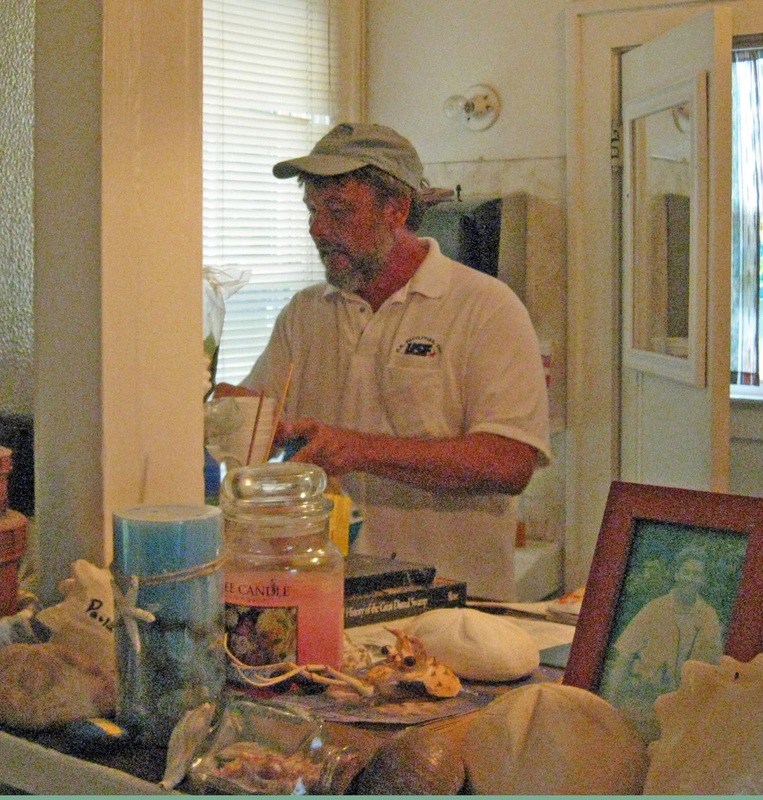 His family owned “The Dockside,” the original Calabash restaurant. 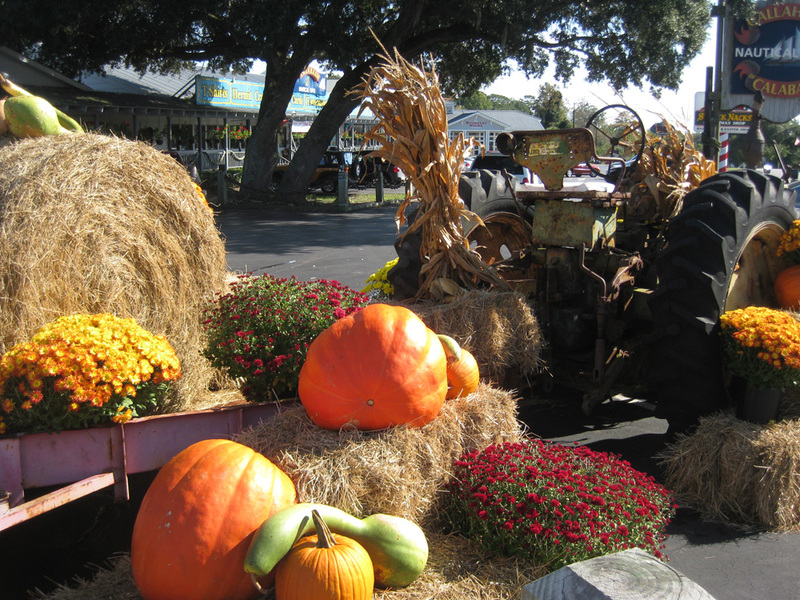 Finally a fall scene we are used to seeing in PA at the gift shop! We walked up the street and we had that “déjà vu” feeling. Then we realized we had been here by car about 10 years ago and had eaten at one of the restaurants and went into a huge gift shop across the street. We could not resist buying fresh shrimp at the dock and some sweet potatoes, dug up the day before according the owner. When we returned to the boat, our friends, Blair and Dennis, on Ar-turus were in the anchorage along with about 5 other boats, so we ended our day with Happy Hour on Blue Heaven. We were in to Myrtle Beach Yacht Club(which is really in Little River, North Myrtle Beach) by 9am to find our friend from home, Bob Castello there ready to take us to the condo they were staying for a big cooked breakfast. 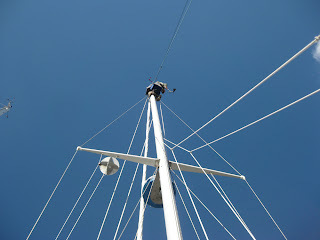 We deemed Saturday a work day, so I started 5 loads of laundry and then went with Al and Bob back to the boat to put the repaired wind machine back on top of the mast. We had it sent to the marina and were glad it was there when we arrived. With Bob’s help, it wasn’t quite so bad cranking him up and we were done rather quickly, but the boat needed a good wash down from picking up so much salt being out in the ocean. JoAnn took me food shopping so I replenished our fresh fruit and vegetable supply. After church we came back for a happy hour overlooking the harbor at Mariner’s Point where her brother’s condo was located. Yesterday was work, today is play day! 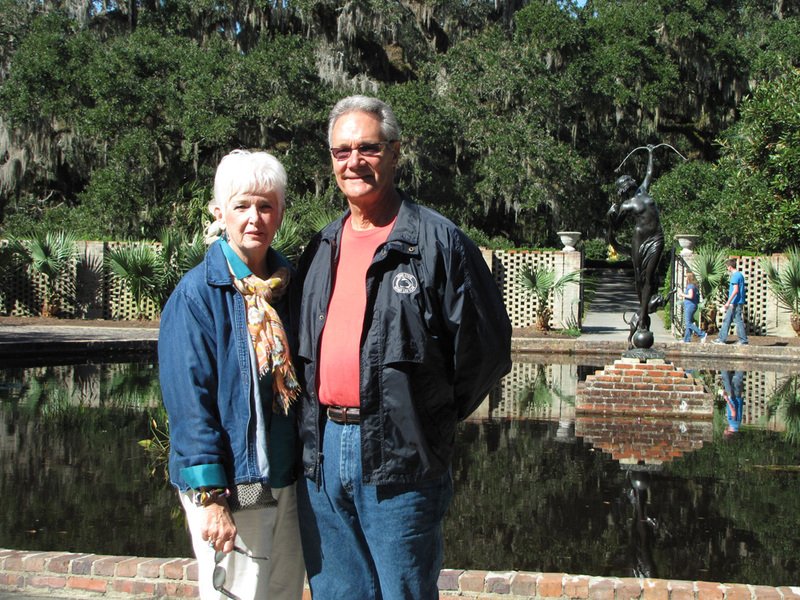 By car we headed south of Myrtle Beach to Brookgreen Gardens. What a gem! “Nothing could be finer than to be in Carolina” on this most beautiful seventy degree day in the midst of all this beauty and history. 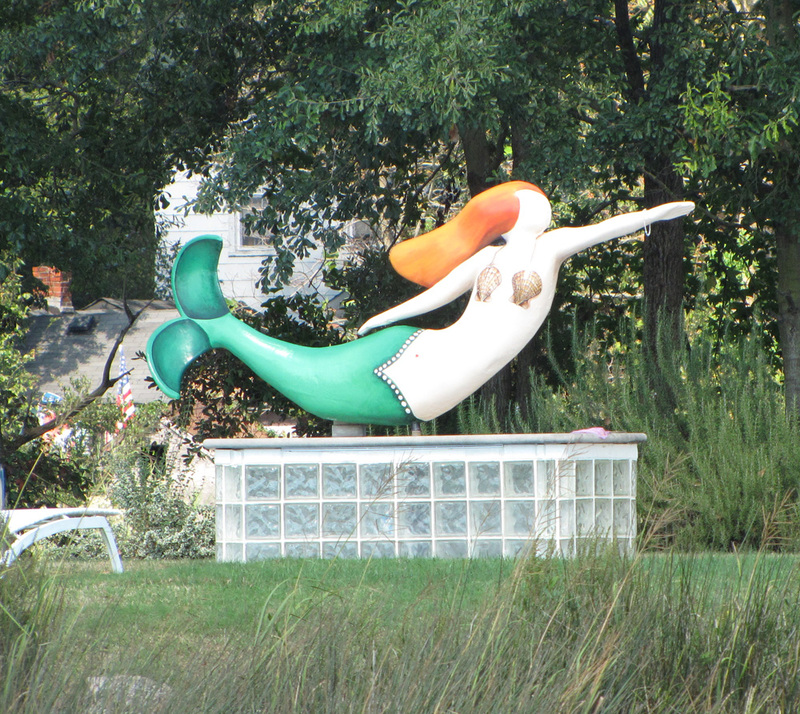 We can understand why this is designated a National Historic Landmark. The only unfortunate part is that the ticket is good for seven days and we only had one! That is an indication of how much there is to see. 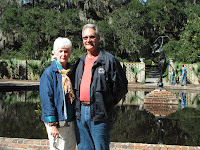 We started the day with a guided tour of the gardens with a super docent who explained how the 3 abandoned rice plantations were purchased by a very wealthy couple, Archer and Ann Hyatt Huntington of the railroad family wealth. 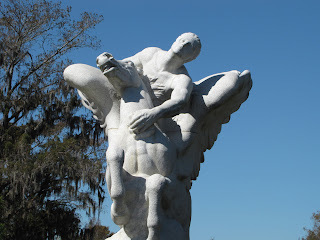 Ann was a sculptor and he wanted a place for her sculptures. Now it has world-renowned sculptures and Brookgreen has more sculptures on display outdoors than any other place in the US and all are US sculptors and many are women. 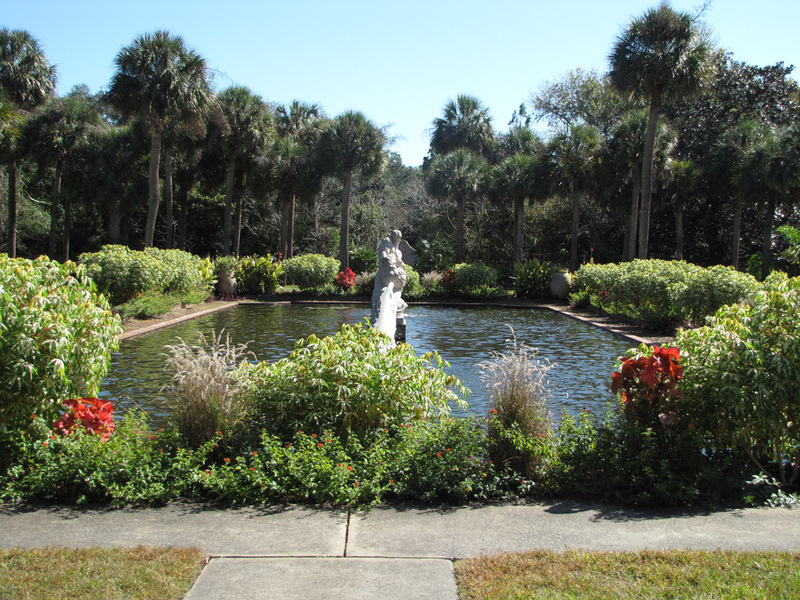 The serene gardens and fountains were magical. 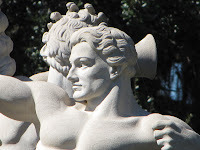 The detail of the sculptures was exquisite. One of the trails to walk explained the history of the rice plantations. 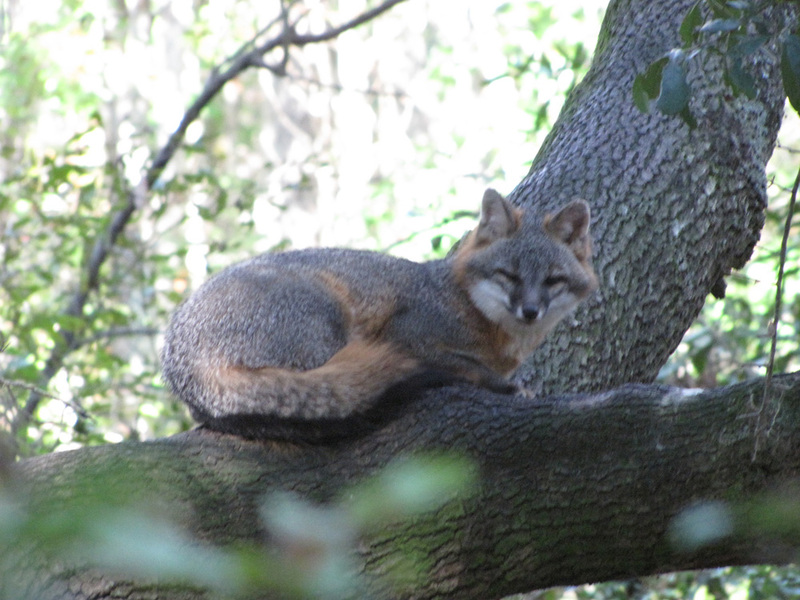 There was a zoo where you could see native animals in their natural habitats. 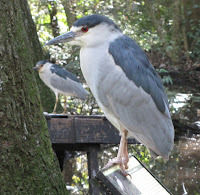 I loved the aviary where you could see the birds you see on the bay or on the waterway up close and personal! I tried to give you the experience with my video, but I am definitely just learning to use the video portion of the camera, sorry for the bouncing! 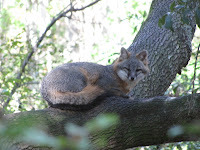 We saw river otters which were so much fun to watch, several foxes, and one in a tree. I wasn’t aware they could climb trees! 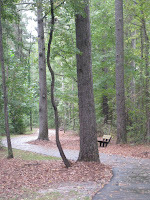 We missed out on the butterfly house, other trails and sculptures, and the creek cruises because we tired out about 4pm. 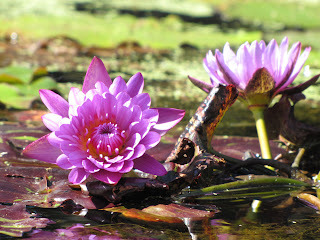 We returned to Little River and after dinner we said good bye to our friends because we were moving on the next day. We left at fairly low tide but it was on the rise when we hit the “Rock Pile” area. 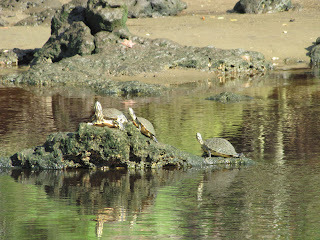 You could see the rocky ledges and gave us wonderful views of all the turtles sunning themselves on the rocks. 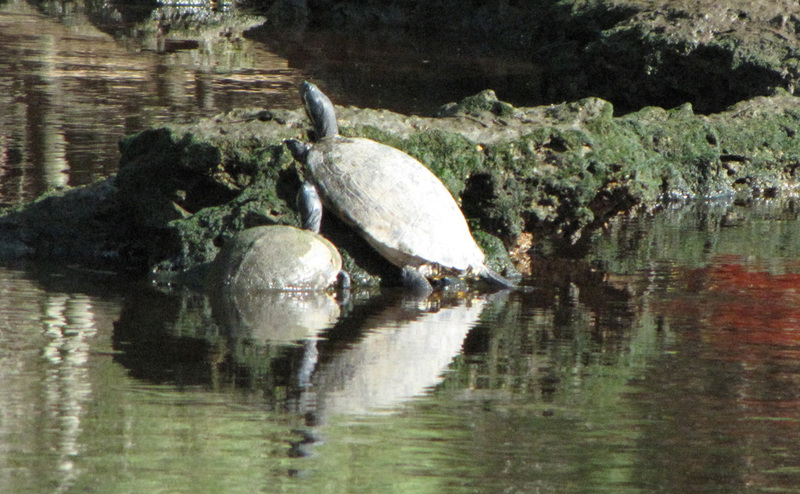 Turtles in the Rock Pile sunning themselves. More turtles playing follow the leader! We had a change of scenery on this part of the trip, with lots of businesses and house of all types; mansions, expansive homes, medium and modest, to small homes and trailers. Then we hit the Wacamaw River with its brownish water from the tannins in the various trees which are on both sides of the river. 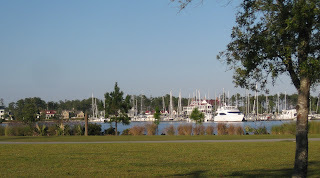 There is a marina every once in a while, but not much else. 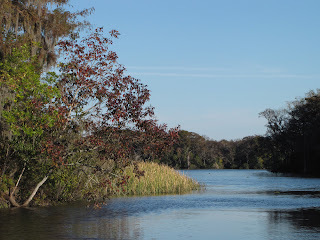 We pulled into one of our favorite creeks, Thoroughfare Creek with just one other boat there. We had the most spectacular sunset which of course I took pictures of, but somehow I erased the card before getting it downloaded! What a downer! 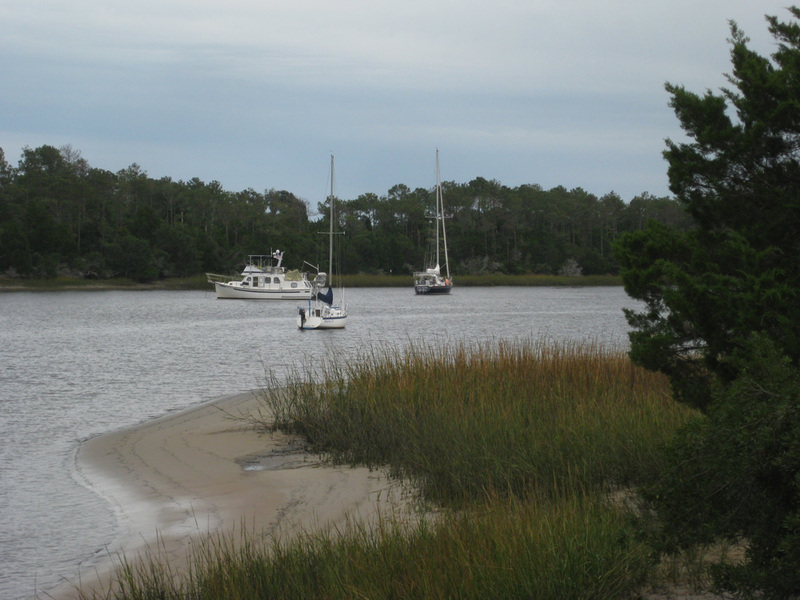 We left the creek around 8:30am and two hours later we were anchored in Georgetown, SC. 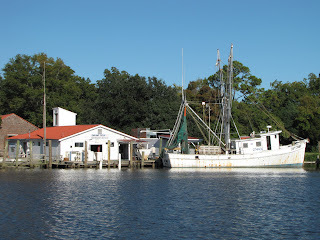 We were anchored right off the shrimp boats docks watching the shrimpers bringing in their catch. This is a quaint harbor town but also has some industry on the one side. Luckily, once again the wind was blowing the smoke away and so did not smell the steel or paper mill while there. We were going into town and stopped to talk to a fellow on his boat. While talking he said, “Is that your wallet floating away?” Sure enough it was but luckily we were able to retrieve it! Whew! That was a close one. I guess the way he was sitting on the inflated tube of the dinghy just help to push it up and out of his pocket. Why a leather wallet floated is beyond me, but luck was with us or God was looking out for us! We went it and looked around town. Al got a haircut and finally had ice cream for which I was craving. Later Ar-turus pulled in with our friends Blair and Dennis. We knew they had a long day because the came from Myrtle Beach so we talked but said we would see them tomorrow. 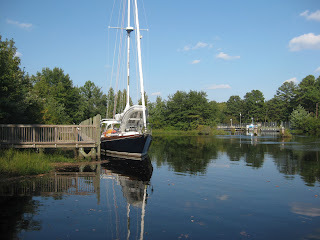 We had lunch in town at The Big Tuna with Blair and Dennis and planned a shrimp dinner on board Blue Heaven. They brought a Key Lime pie from the Kudzu Bakery in town. It was the best Key lime pie I have ever eaten, melt in your mouth creamy in a wonderful chocolate crust. If ever in Georgetown you must try one! We had a great time and I took all sorts of pictures, only to have accidently erased them along with the sunset pictures from Thoroughfare Creek. So we will have to do it again soon. 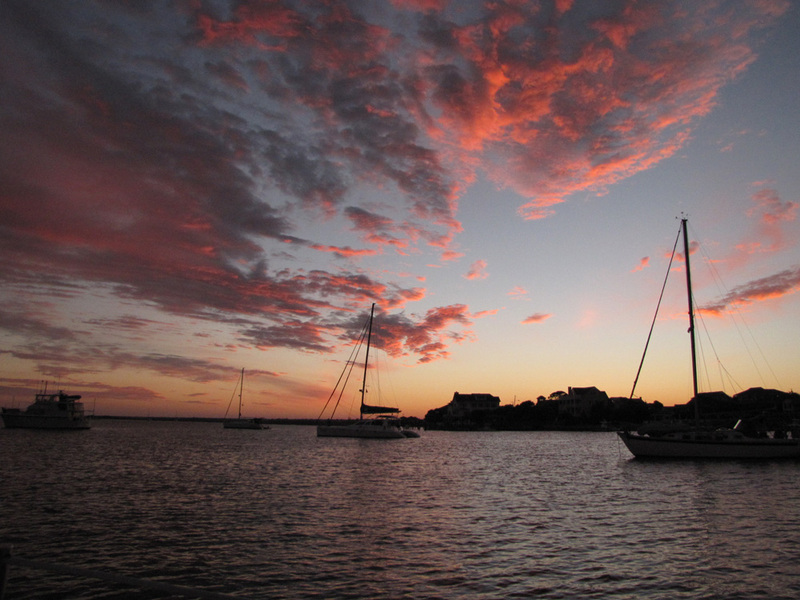 Sunrise leaving Georgetown headed to Charleston to wait out Hurricane Sandy. We are watching Hurricane Sandy closely and decided to go to a marina in Charleston for two nights, Friday and Saturday. Today was quite windy even in the ICW and we and about seven other boats are anchored in the marsh north of Charleston for the night, hoping the wind dies down. Supposedly we are in one of the better locations on the east coast for this hurricane because the land indents in at Charleston so we should be further away than a north Florida or the Chesapeake. We hope so! Once in the beautiful River Dunes marina I would have liked to sit around the swimming pool and just relax, but chores had to be done first. These included; four loads of laundry which took 4 hrs. due to dryers that were not working the best, defrosting the freezer, washing the salt off the boat and cranking Al up the mast to retrieve the broken wind machine and wind index. Yes, Arleen cranked Al up the 61 ft. mast with only the assistance of a male on a nearby boat to tail the line and safety lines! (I hate to ask someone who you do not know their health history to crank. I rather not have to give CPR!) Al planned ahead and borrowed the courtesy car and went into Oriental and purchased a new windex. 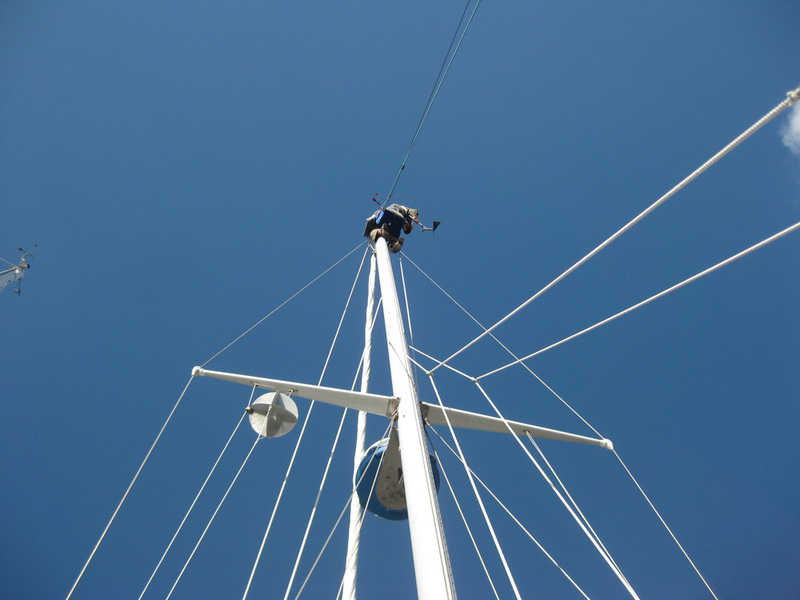 He retrieved the broken equipment and put up a new windex all in one trip up the mast. 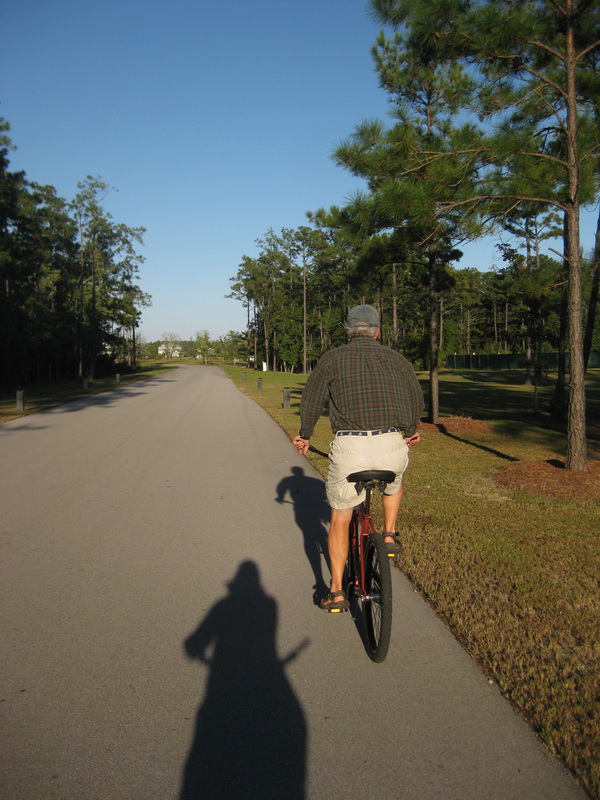 After the work out on my arms doing all that cranking, I felt I better balance it out with a work out for my legs, so we went for a bike ride around the River Dune community. Lots of roads but not many houses just like 2 yrs. ago, so I don’t think the housing community took off liked they had hoped. It is a shame because it is a beautiful area. After doing some research overnight, Al luckily found a repairman in Florida who thought he could fix the vintage 1985 wind machine. Then it was finding a box to fit the item to ship it off. 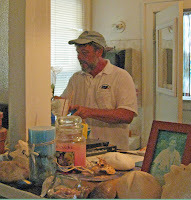 Al thought perhaps Pat at Inland Waterway Provision Co. where he bought the windex could help and he did. He went out of his way to help us which we appreciated. We found the same kind of service at the local post office and finally got it sent off. 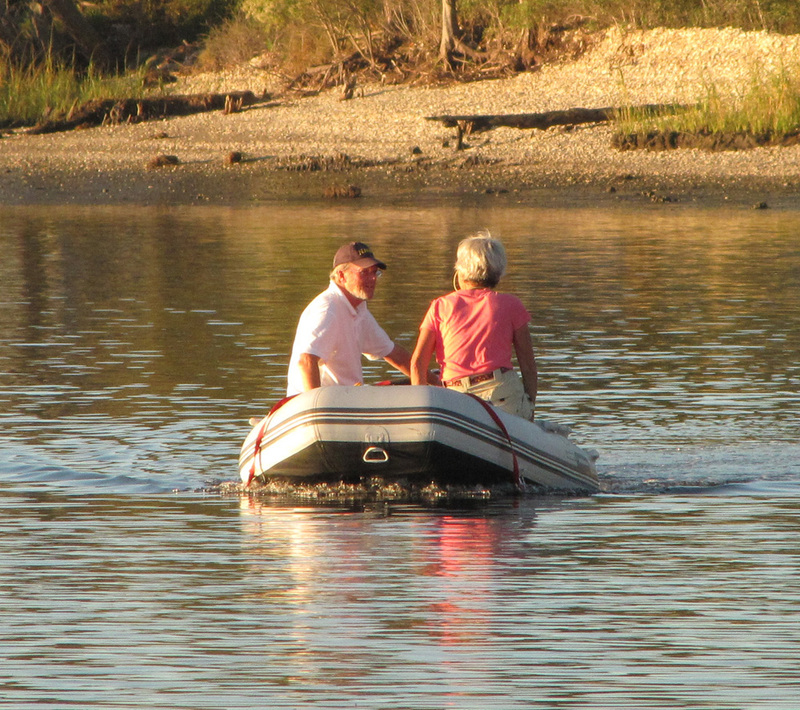 While in town, we found Carl and Marilyn on Discovery at the free two slip dock where they had been working putting some new equipment on. Finally, that afternoon we got to enjoy the pool area just sitting and resting and enjoying the beautiful scenery at River Dunes. We planned to leave tomorrow to go up the Neuse River to New Bern for the Mumfest. 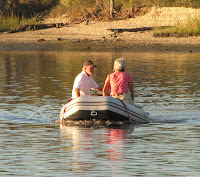 However, in talking to our boat neighbors, Al & Lisa on Transformula who had helped us earlier, they said they were driving there and would we rather go by car. They had been up to the marina before and said that it can be quite exposed depending on the wind direction and they were calling for a very windy day. Al and I made I rather quick decision and said we would love to take them up on their offer. Lisa, said they were planning on meeting friends for dinner so they would not be leaving until 8:30pm but Al and I thought that would not be a problem. We arrived in New Bern around 10:15am and they parked the car at a friend’s home near Tryon Palace which was the first place we wanted to go. 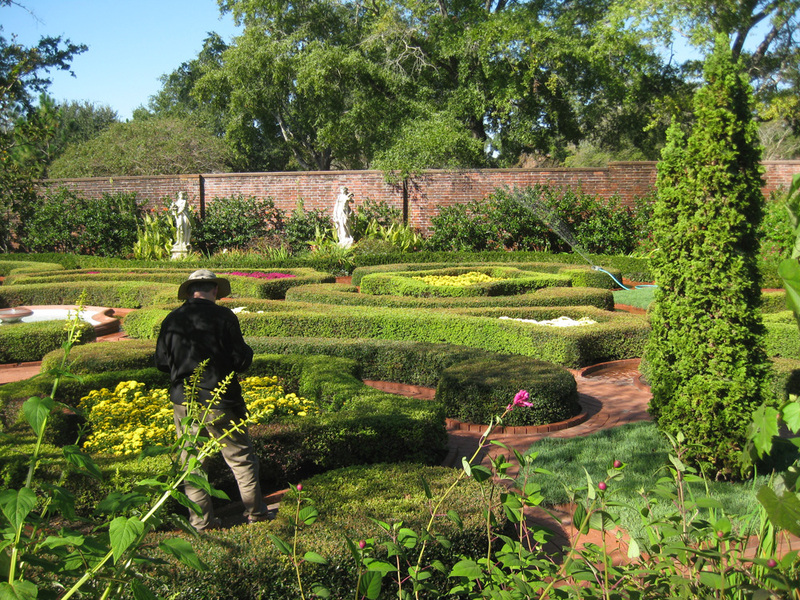 The gardens were free to the public during Mumfest so we toured them. We later regretted not touring the actual Palace but if we get there again, we will have something to do. 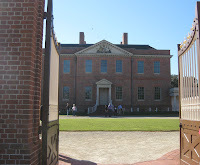 The house, built between 1767 and 1770 by Governor William Tryon became North Carolina’s first official capitol and was one of the most talked-about public buildings in the American colonies. 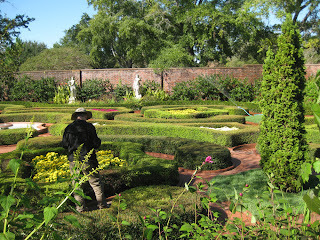 The grounds were very well kept and the formal garden was lovely. Probably the most entertaining thing we saw was the Purina Incredible Dog Show. 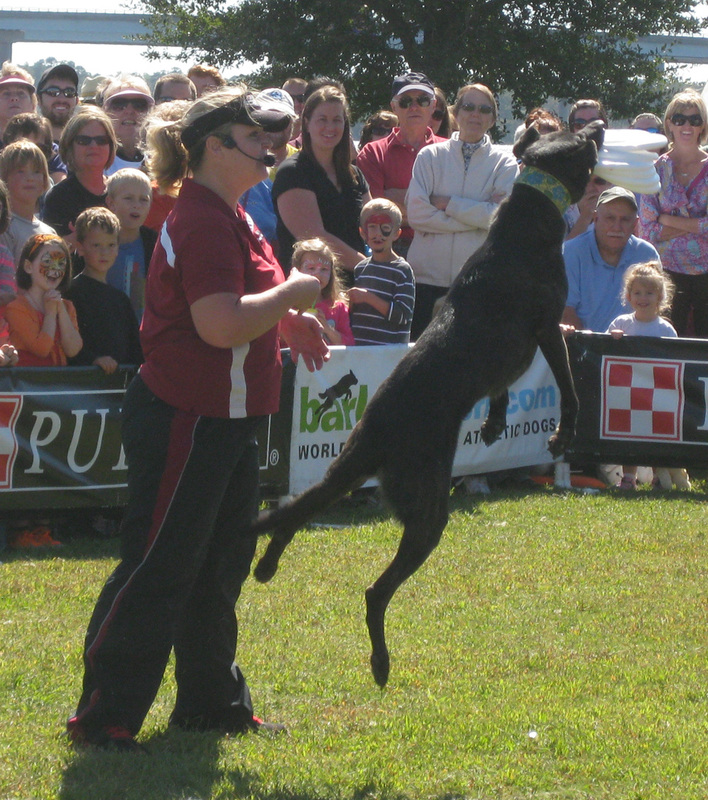 Dogs leaped through the air catching Frisbees, doing flips and other tricks. He has 3 Frisbees in his mouth! 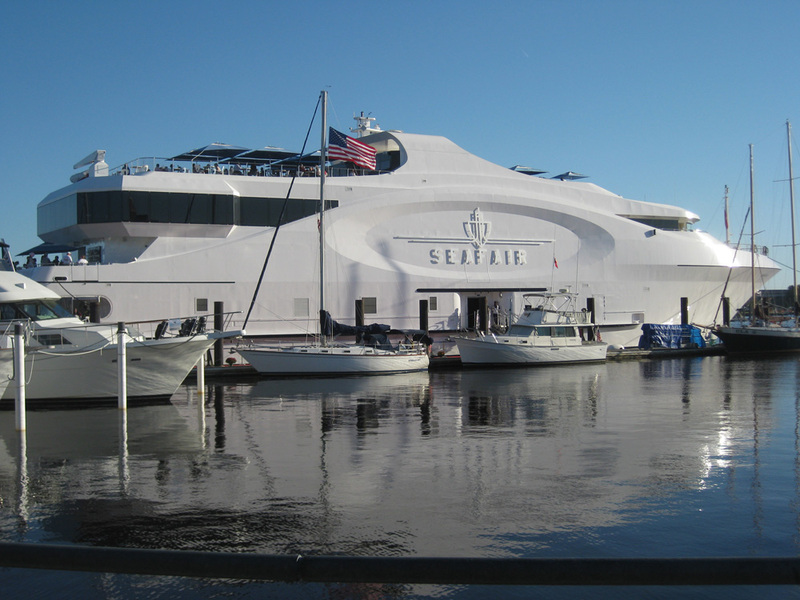 A 225 ft. yacht called Seafair was at the dock. 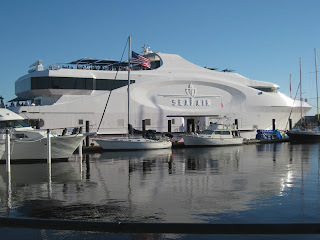 It was huge next to the other boats near it. You pay $15pp for the privilege of touring the art gallery and to see the boat and purchase art if you would like. Al said none of the art would fit on our boat so why go. Needless to say it was looked at from afar. 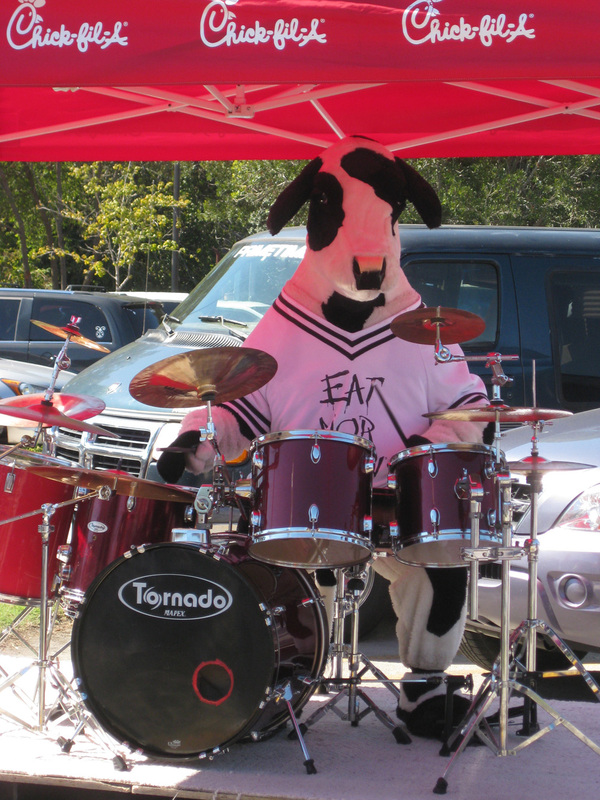 A cow playing the drums! 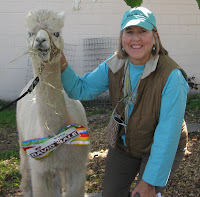 juggler/daredevil, dancers, bands, craft stands, car show, outdoor show where Al checked out the beautiful inlaid kayaks, a farmer’s market where I met a friendly alpaca and whatever kind of fried greasy fattening food you wanted. Arleen with a new political friend. What I found interesting was it is called Mumfest. I thought I would see mums galore. Wrong! I had to look for some. There were more at the hardware store in town than anywhere else! Since the day was going to be a long one, we tried to pace ourselves and luckily found the convention center around 3:30pm where there were some comfortable chairs just in time for a rest! We had dinner at a restaurant called Chelsey’s and were very pleased with the great meal. To use up time we went to the local coffee shop for some dessert and of course, coffee. Finally we walked to the car. They said if they were not there, to just sit on the porch, which we did. It was a warm night so it was very pleasant. Al and Lisa came by fifteen minutes later and we were off to the boats in Oriental. It was a very long day but it was fun and we are glad we did it. The next day was a total change in scenery, and what beautiful scenery it was. 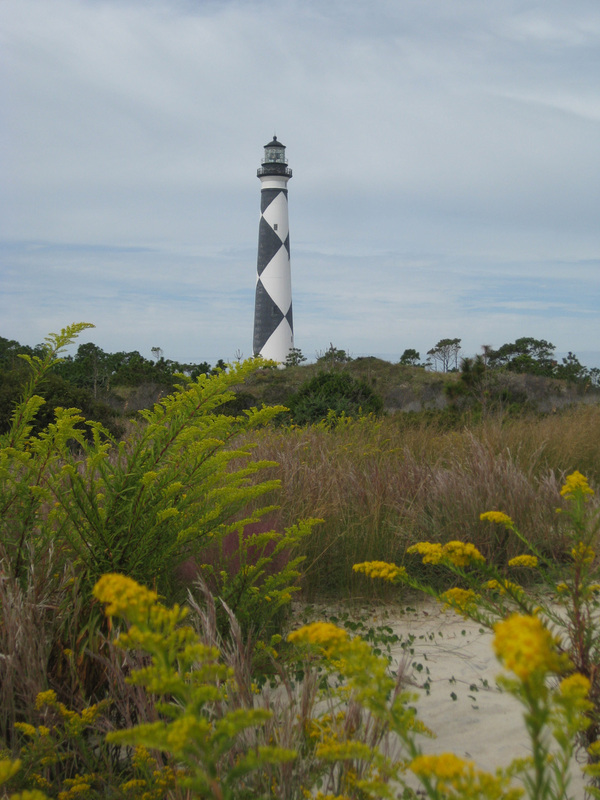 We motored to Cape Lookout which is a national seashore park. You are out there where there is just miles of sand, dunes and surf and a beautiful lighthouse. 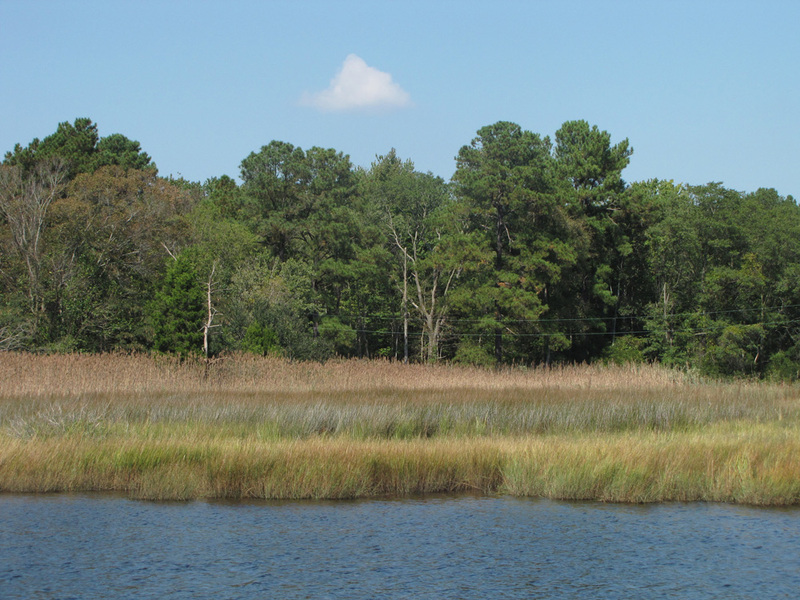 This is located near Beaufort, NC. Discovery was there when we pulled in and Tilt also pulled in later. 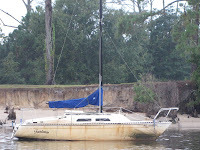 We put our dinghy in the water and went for a walk on the beach. That night we had another wonderful sunset. 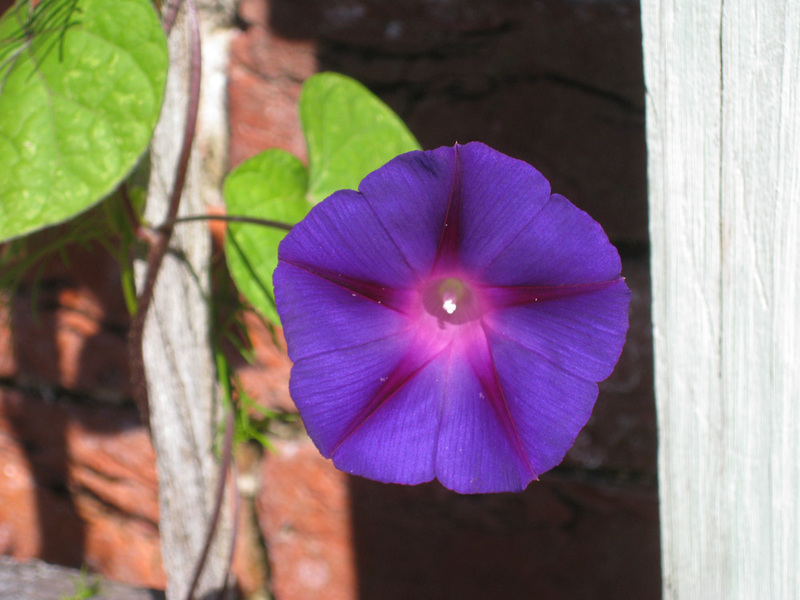 The next morning was dead calm. The only ripples on the water were made by the fish jumping. We motored over to the lighthouse and toured the lightkeeper’s house and walked over to the oceanside. I just love this spot and could spend more time here. Later we gathered for Happy Hour on Blue Heaven and had made “Banana Salsa” which was a big hit. (If you want the recipe let me know) As the day continued into night, the wind picked up and we had a very uncomfortable night sleeping. 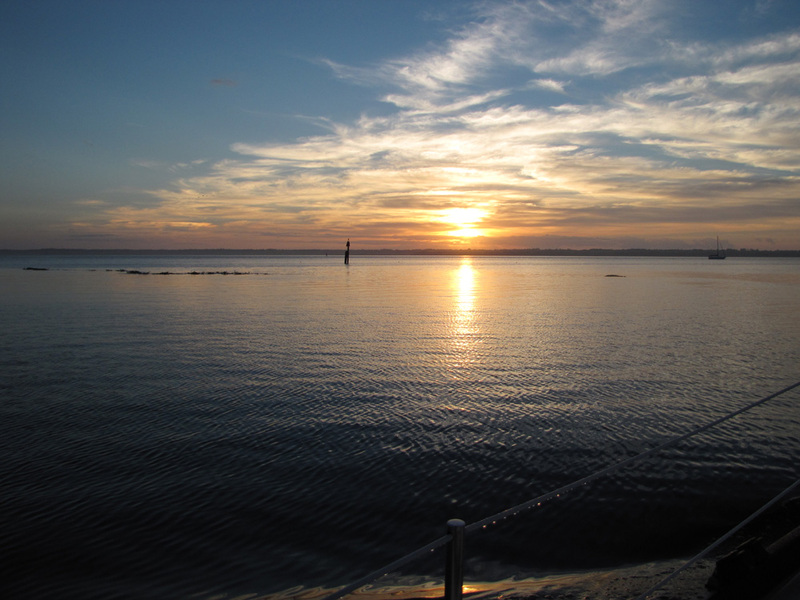 Sunrise leaving Cape Lookout and into the ocean. 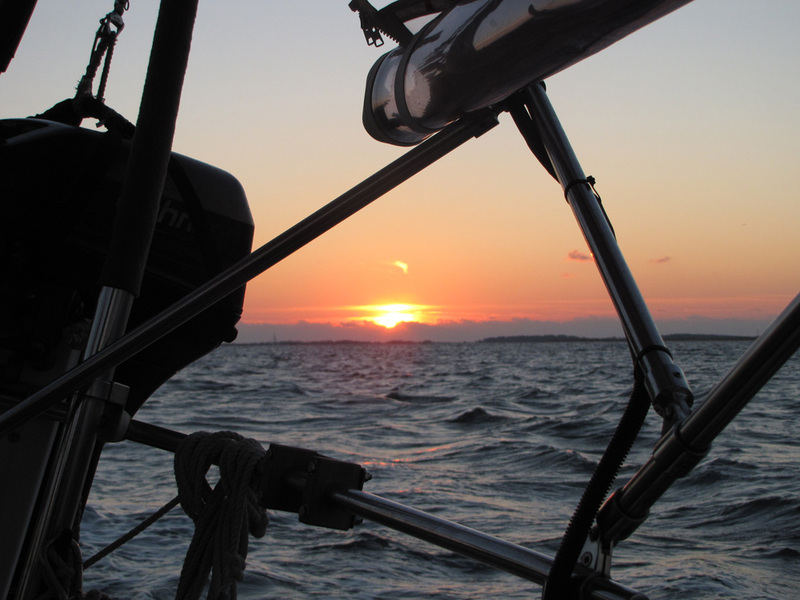 Neither of us knew when we finally fell asleep but we were up at 5:30am to be off for our sail to Wrightsville Beach out in the ocean. 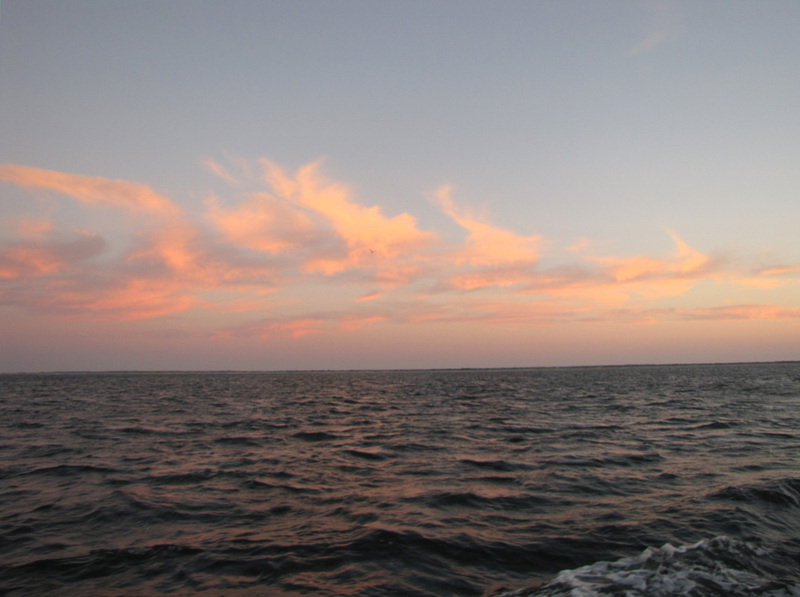 The sunrise was beautiful as well as the cloud formations as we left the anchorage. The winds were strong but in the right direction. 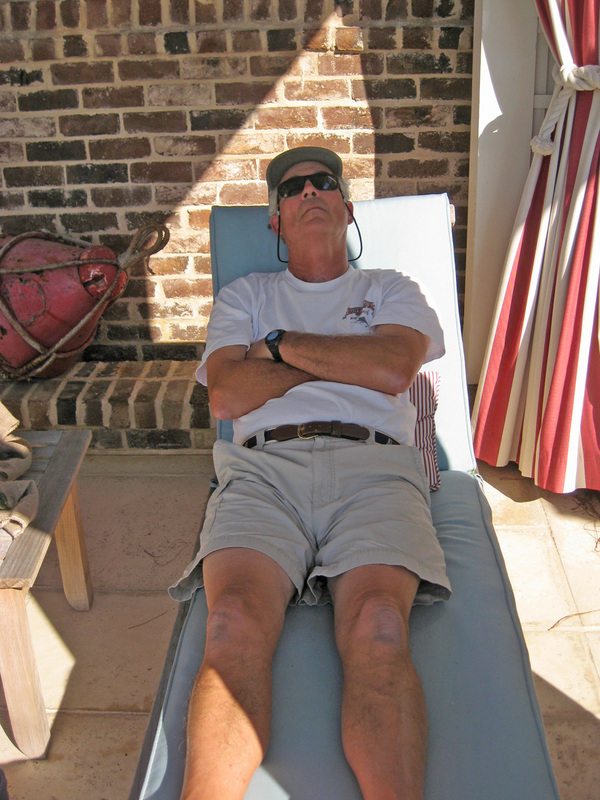 Al had shortened sail by putting a double reef in the mainsail and we are glad he did. We zoomed along (6.5-7.5k) and found out later from Marilyn on Discovery who was also out there, that the winds were not the 15-20 kts. as predicted but more like 20-25 with gust to 30-35. Since our wind machine is being repaired we had no idea, and I am glad. I probably would have been frightened knowing and am not sure that we would have gone out. After lunch the winds lowered to the point that we put on our motor to keep the speed up to get in before 6pm which we did and anchored off of Wrightsville Beach. We slept in to 8:30am so I guess we made up for the lack of sleep the night before. It was just a lazy day to do whatever. We did get off and walk and I kayaked and made “Shrimp Creole” with our fresh shrimp from the local seafood store. We decided to move on so that we are closer to Calebash Creek for Friday. 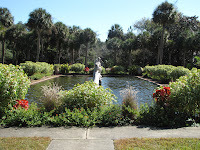 We will be going in to Myrtle Beach Yacht Club for the weekend to visit with friends from home who are in a condo there. This is an addition to the last blog. I thought you might like to see the videos and of course I cannot pass up a beautiful view of an evening sky in Wrightsville and sunset in Pipeline Creek. For a sense of what it is like to sail in the ocean press the arrow button even if it is black. The second video only has the sound of the boat going through the waves. Left Mill Creek and while motoring out, we spotted our first dolphins. 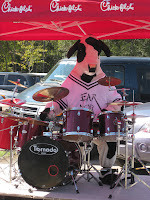 However, they did not play just came and went. 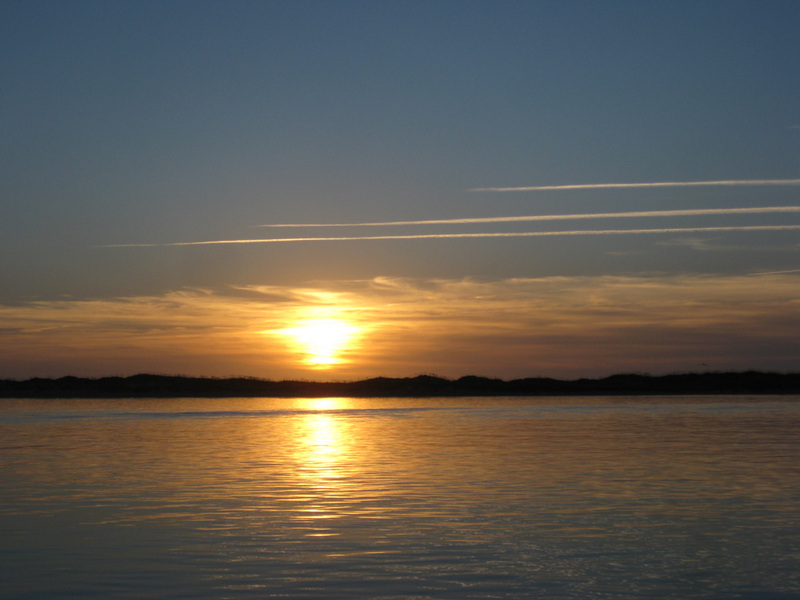 We were able to sail to the Piankatank River with the best sailing early in the day and then it got continually lighter. 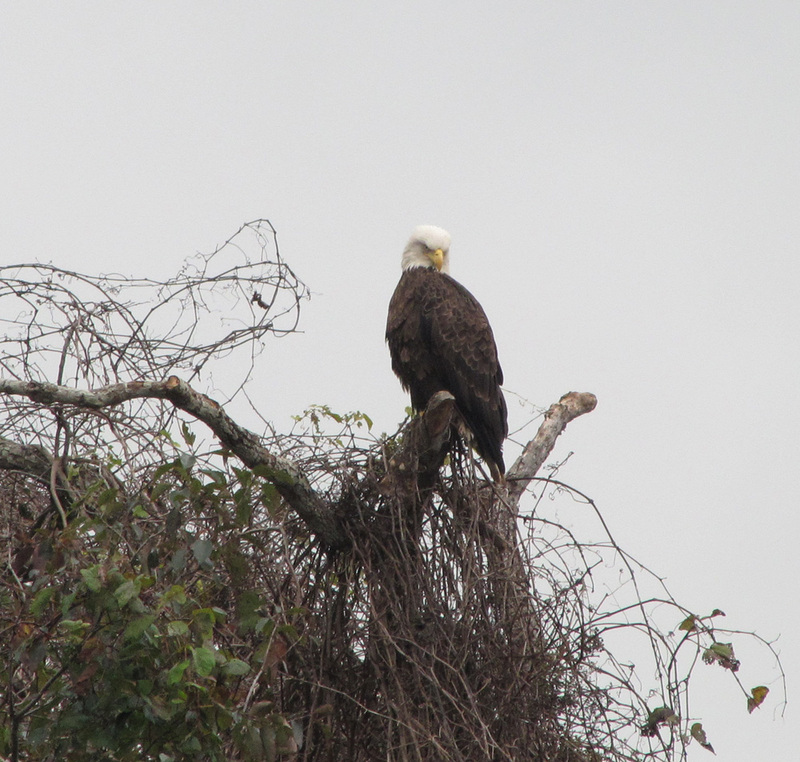 We were in Jackson Creek off of Deltaville Marina by 1PM. Our friends from Discovery, Carl and Marilyn whom we met in the Bahamas on the last trip, came to greet us. She took me to the grocery for a few things that I needed. The Deltaville Marina charges $11 a day per person to land your dinghy. You are then allowed to use the pool, showers or laundry. But if you don’t want any of that, and just want to walk it is still $11 per person. Not too cruiser friendly! We waited until after five and went in to have dinner with a few more cruisers we knew and new ones who we got to meet in the screened in porch. It was fun to reconnect with Carl and Marilyn and Chris and Craig on Tilt whom we came back up through the Abacos with on the last trip. 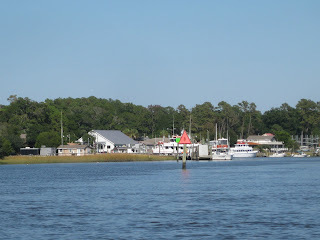 We said our goodbyes to the Mershons because we decided to head to the Hampton area and they were headed up the York River to their new marina. We certainly are going to miss them on this trip. weather channel called for 10-15k out of the north. What did we have? 2-4k out of the south- very flat bay for a motor day to Fort Munroe. Discovery headed down the bay too, but chose to go on to Hospital Pt. 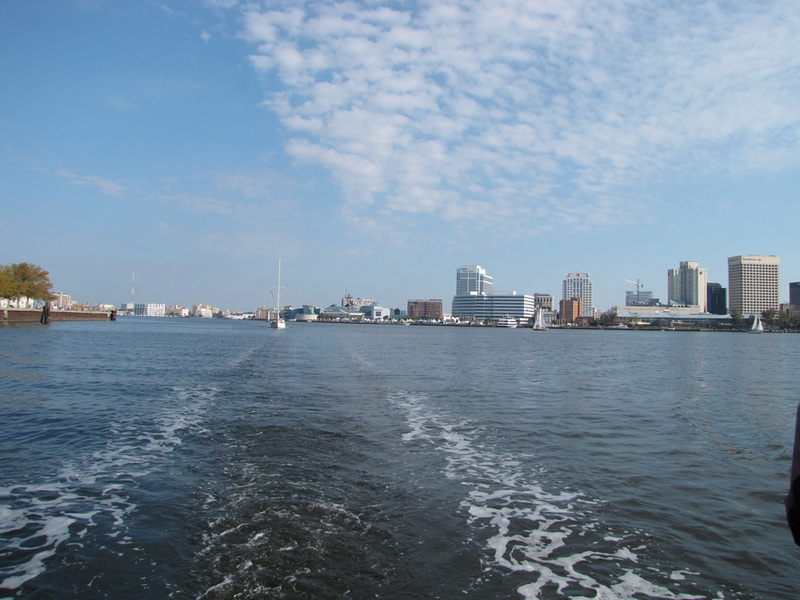 which is the Portsmouth side of the river. Al did not want to go another 2 hrs. so Fort Munroe it was. It is not my favorite anchorage because of bridge and car noise, but it provided to be less desirable after a night of rocking because the wind changed to the southwest which was not called for and which is exactly the direction you don’t want in there. I said Carl and Marilyn made a wise choice until we came upon Hospital Point and they were still there. We called them and they said they could not get their anchor up. We pulled off and set our anchor to see if we could help. Carl had gotten a hold of Boat US and they were sending a tow boat which eventually helped them pull up the anchor which was caught on a cable. 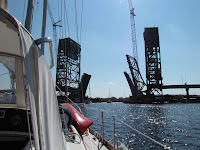 Since they had help on the way we motored past Norfolk and went on to Ocean Marine Marina and got fuel, water and disposed of garbage, all critical things while cruising. The broken bridge finally opens! We motored on to the Gilmerton Railroad Bridge (the one they had plans to close on Tuesday and Thursday of this week to work on it.) The one span was halfway up. 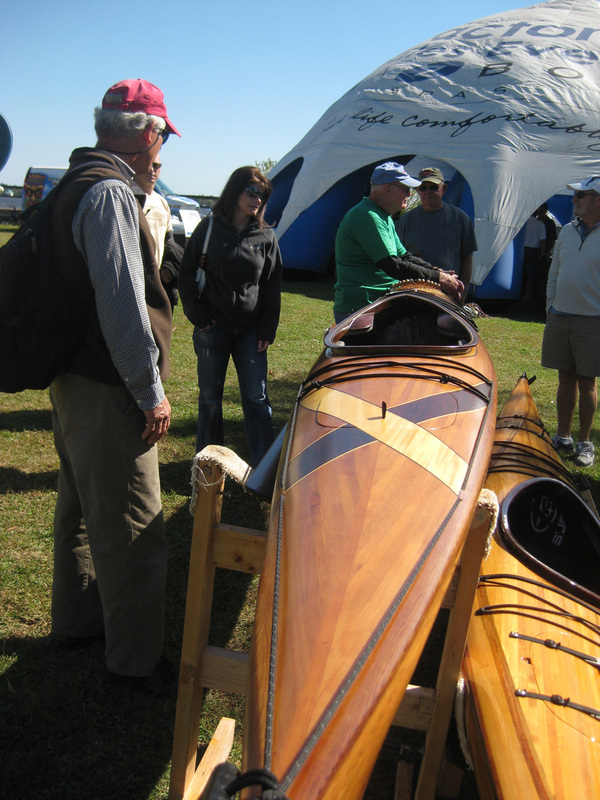 Powerboats could get under but not sailboats. We waited 1 ½ hrs. until they got it working again. This is why cruisers plans are only written in sand and not stone! Once through we headed into the Dismal Swamp. People often say how horrible it sounds and ask why do you want to go there? Well, we don't find it so dismal, actually I think it is rather pretty and it has a uniqueness all its own. The lock opens only four times a day so we had to wait for the 1:30pm opening of the Deep Creek lock. Two other boats were in the lock with us and Robert the lock and bridge tender was his congenial self. He welcomed us back. 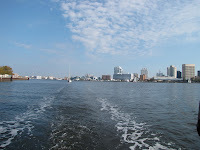 (Now it was four years ago we went through the lock, because last year we went the Virgina Cut route. What a memory!) 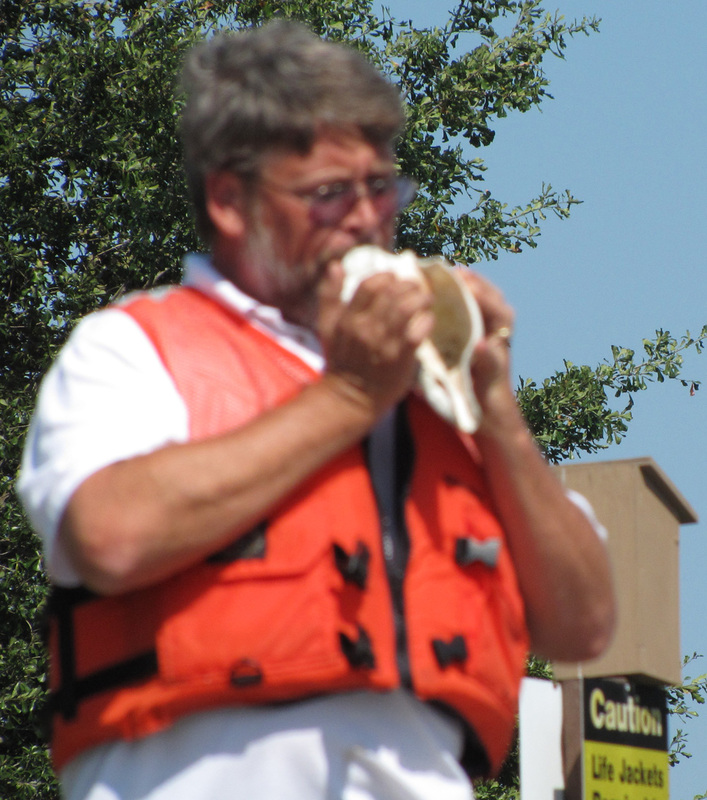 He was helpful telling you exactly what to do while the boats were coming up in the lock and he even played a tune on his conch shell for us. He has a whole collection from cruisers who bring them back from the Bahamas. Blue Heaven docked at Deep Creek with lock to the right. 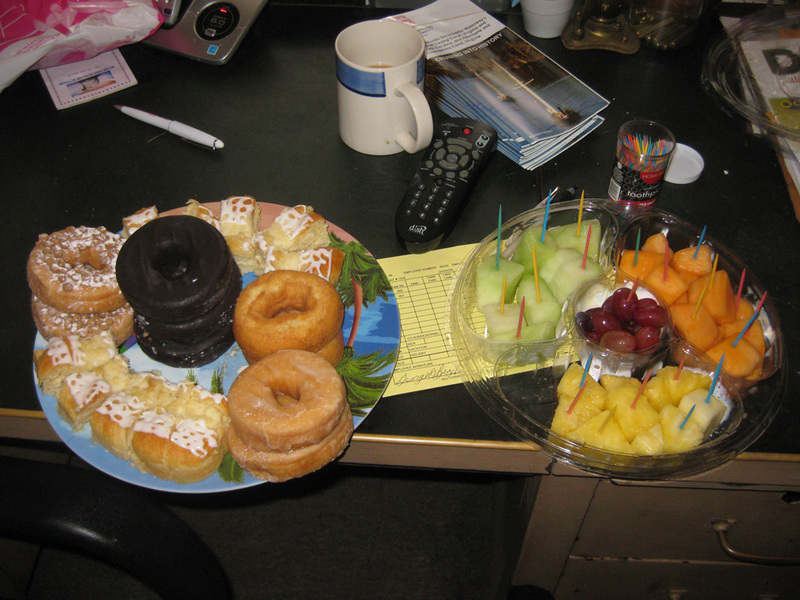 We planned to stay on the free dock immediately after the lock, so he invited us for coffee and danish the next morning. Discovery, and boats named Ar-turus, and Outsider (people from Australia) came through the 3:30pm opening and came to the dock as well. Robert told us about a good Pizza shop so Blair and Dennis from Ar-turus from West Chester, Pa, Carl and Marilyn and Al and I walked to the restaurant for a wonderful Stromboli and pizza. We also hit the Food Lion store in the same area and walked back and called it a night. It had been a long day! Robert was the host with the most! Putting on jeans and heavier jackets for the first time on our trip , all of us at the dock headed over to Robert’s office for not just coffee and Danish, but bagels, doughnuts, fruit and orange juice with strawberries, peaches and pineapple in it. He went all out, and gave us a wonderful history of the canal as well. He told us because this canal has no commercial traffic, they would like to close it down but 35,000 people emailed or wrote saying it should not be closed. So at this time it is still open but it is the cruisers that need to keep coming and telling the higher ups not to close it. It would probably be the downfall of Elizabeth City if it closed. 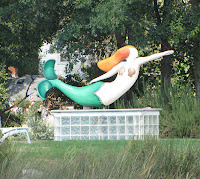 Would you expect to find a mermaid in the swamp? We said our goodbyes to Robert at the bridge he opens after opening the lock and continued down the Dismal Swamp Canal. Once again I really don’t know why it is called “Dismal” because Al and I like it. 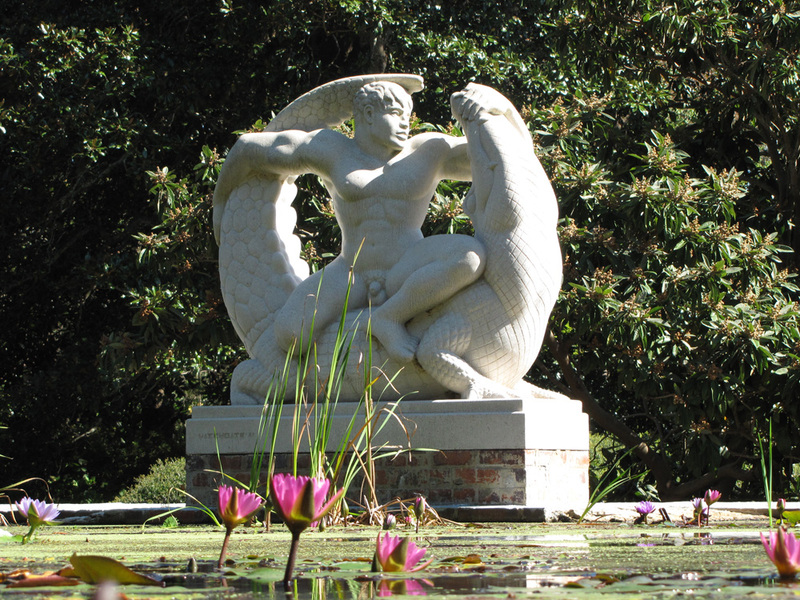 There are homes along parts of it, even ones with mermaids, and you can see some roads and trails that follow parts of the Dismal Swamp canal. We decided to stop at the Welcome Center which was just about when the rain stopped. 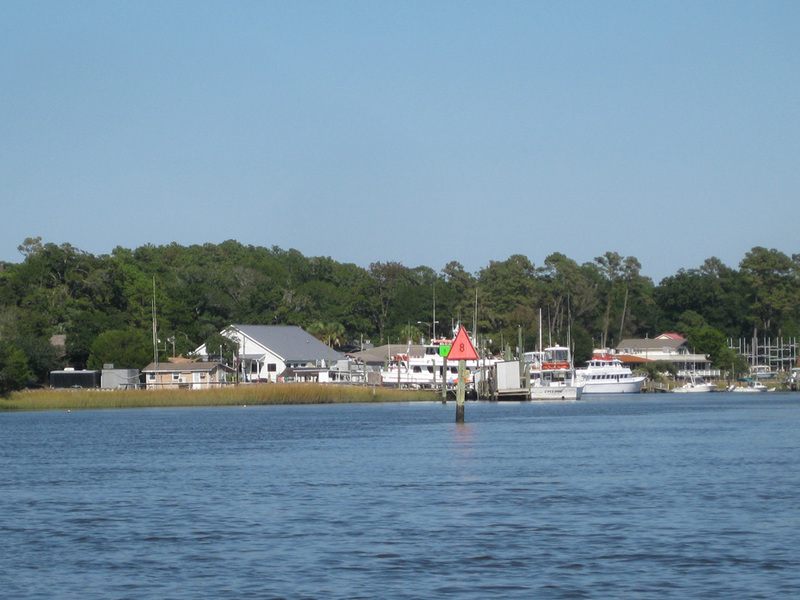 The other three boats headed on to Elizabeth City. After lunch we checked out the Welcome Center (which is really a Rt. 17 highway stop) and got some maps of trails you can hike in the area. We decided on an easy one which was macadam actually old route 17 since it had just rained heavily. 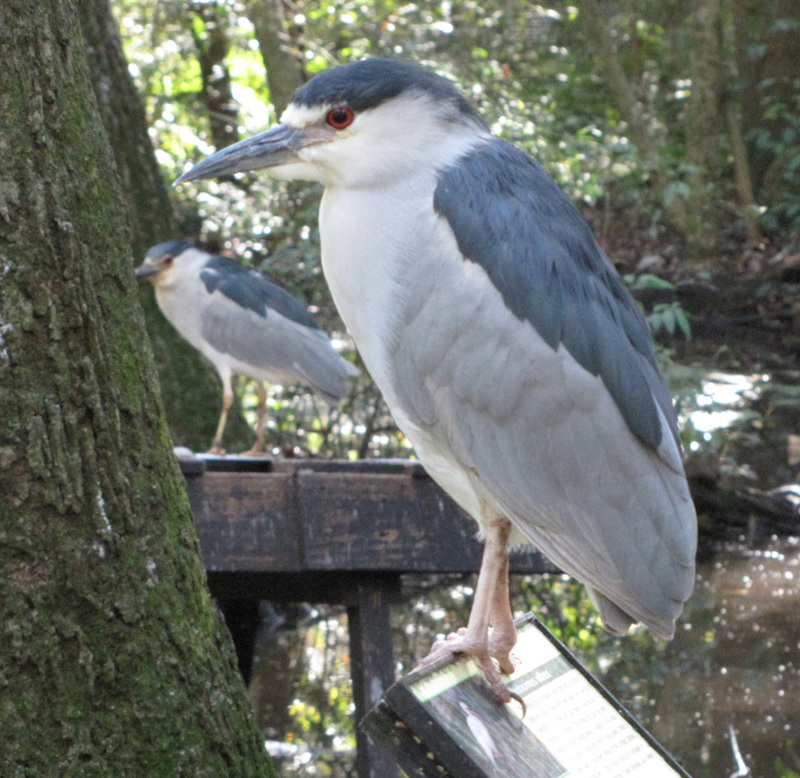 We also learned more about the wild life in the area from the Education Center in the state park on the other side of the canal accessible by a walking bridge they put across. On a dry day the other trails would have been nice to try, although there are bear in the area! We met a couple at the dock from Boston with two small children on board. More power to them with a 1 ½ yr. old and 4 year old on board. 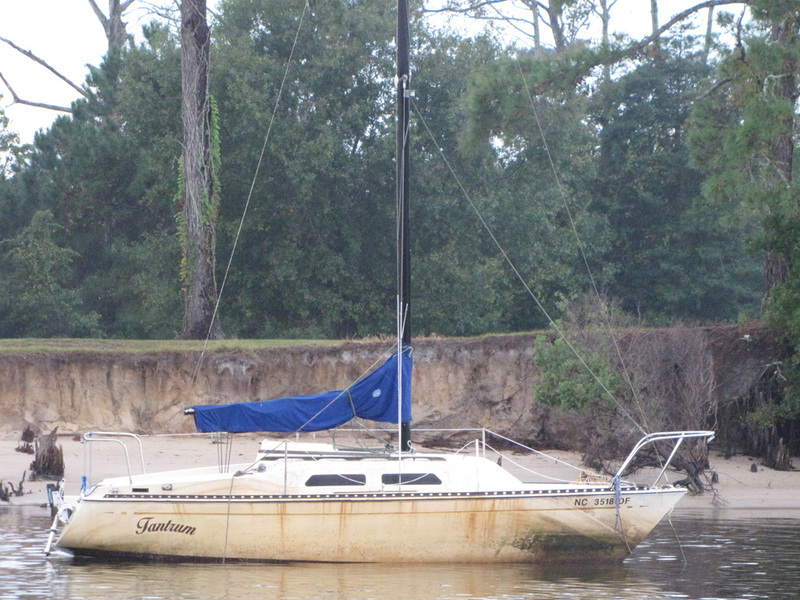 They have only been sailing about a year and they plan to go to the Bahamas. The boat’s name, Wildest Dreams, how appropriate! We left around 7:30am to make the next bridge opening and lock. As friendly as Robert was, the next bridge and lock tender was as unfriendly. He did not answer our calls on the VHF, did not help us in the lock or explain what or when he was lowering us. What a difference! 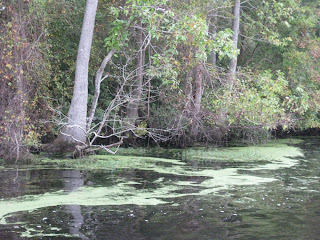 The lower Dismal Swamp chartreuse algae bloom. Rug hooking is great way to pass the time! 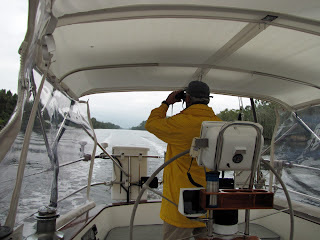 We left the next day on a very gray dismal morning but the wind was 15k out of the north which gave us a nice sail down the Pasquetank River. With no wind direction or wind speed indicator it was like sailing on our Chrysler 22 back in the seventies! 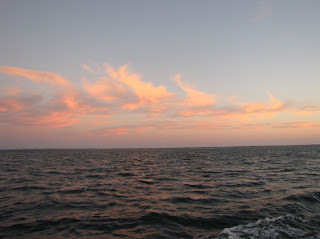 Wing on wing we crossed the Abemarle Sound and down the Alligator river with a nice easy sail, to anchor off Deep Pt. for the night. I even was able to do some rug hooking. 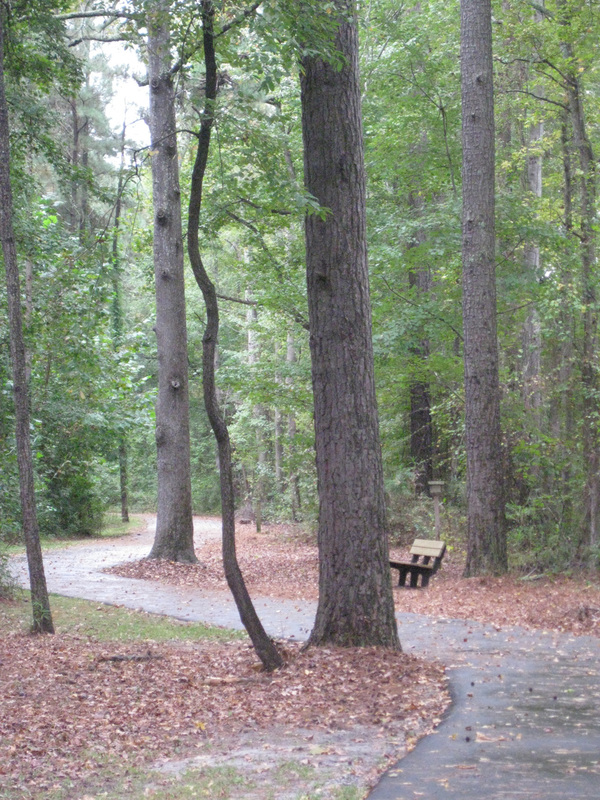 This area is in the middle of “nowheresville” with no cell phone, tv or internet available. A night to watch a DVD! 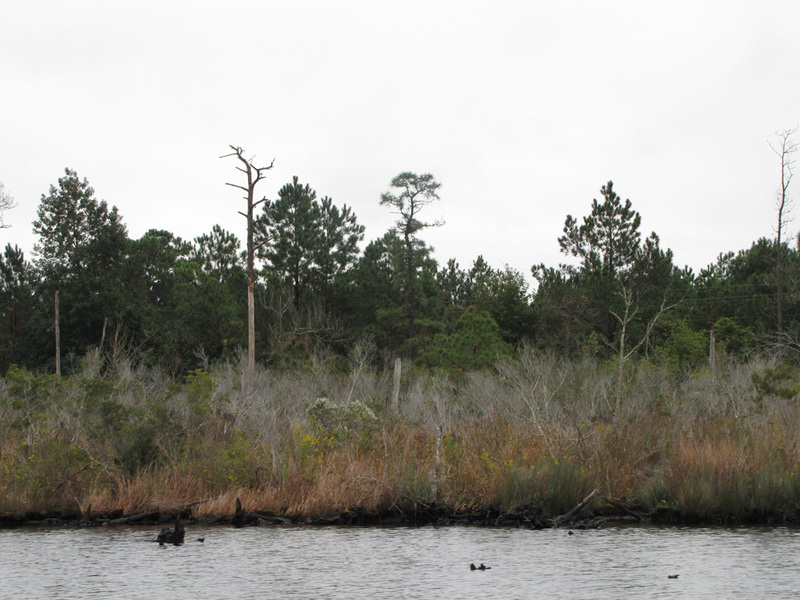 Wednesday was another very gray day to go through the very gray Pungo Canal. I was looking for some color and found a little here and there, but not the prettiest place. 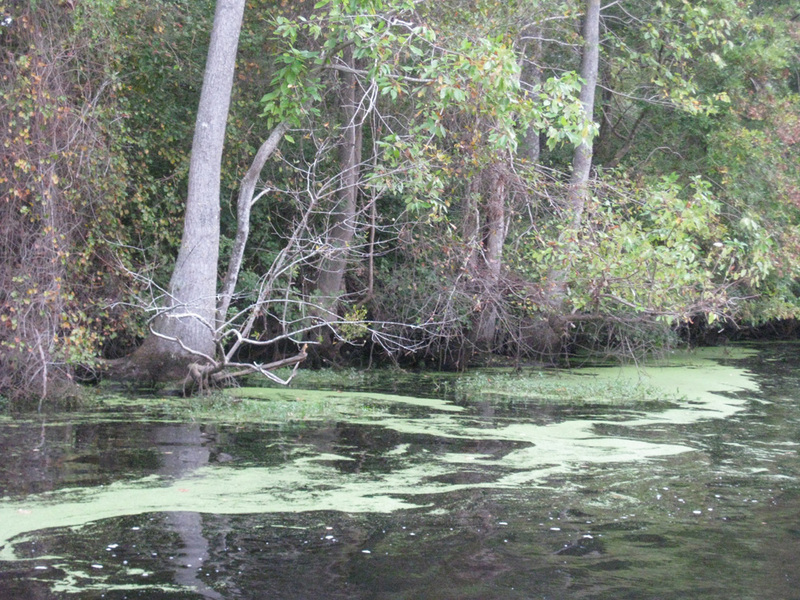 I think they should rename the Dismal Swamp something else and name this canal the Dismal Canal! 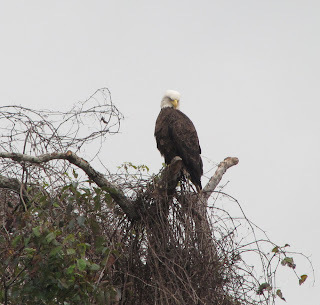 I was down below working on the blog while Al was steering and spotting eagles. He said they were so plentiful that they were like “pigeons in a city.” Well, I don’t know if they were quite that plentiful but more than normal. As the day wore on the weather was getting brighter and finally the sun came out which was a welcome sight after three days of rain and dreariness. 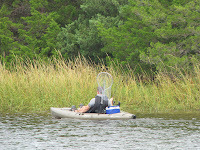 That is probably what urged us on to do a seventy mile day to reach Broad Creek off the Neuse River. 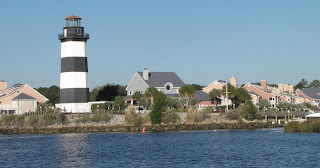 We are heading into River Dunes for some much needed marina life. Al is going to try to get up the mast to see about the wind instrument, and I will be doing some much needed laundry, cleaning and food shopping as well as a nice dinner out. I love those long hot showers too.! One happy wife because we are going to a marina finally!